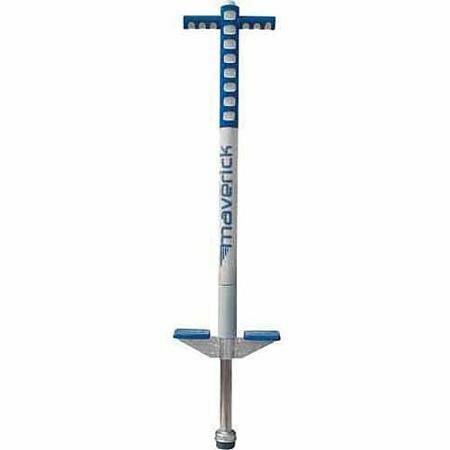 This Blue Maverick Pogo Stick provides fun exercise for boys and girls. Its precision-made foam-covered construction makes it safe to use and ultra-durable. The purchase of this Foam Pogo Stick includes non-slip foot pads, handle grips and a rubber tip. It can support users who weigh up to 80 lbs. Conveniently, this item comes with a one-year warranty.